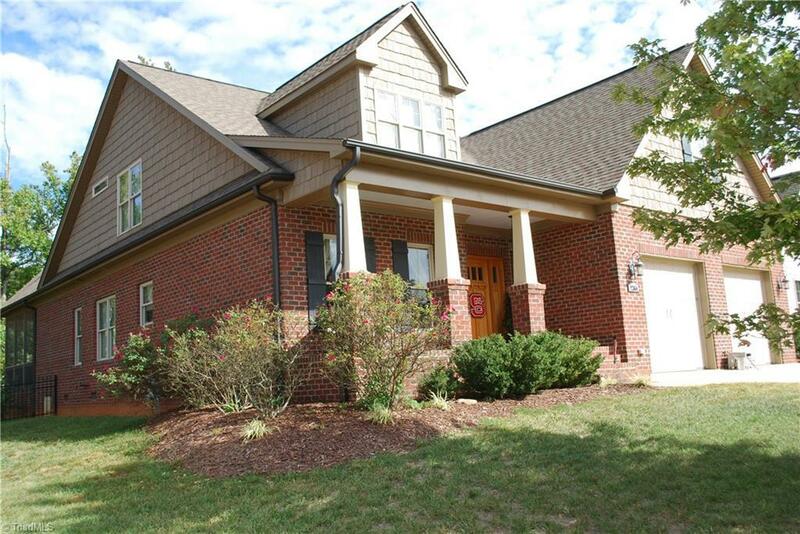 Lovely craftsman style home just waiting for your family. Fenced level backyard backs up to woods and has a lovely screened porch. Awesome floor plan with many custom features like hardwood floors in formal areas. Painted cabinetry in kitchen with mocha glazing, granite countertops, under cabinet lighting and an open floor plan make this a perfect family home or empty nester looking for one level living. Home has second bedroom on main level and large bedrooms upstairs. Also playroom up. AHS war! !